The Indian National Satellite (INSAT) system which are placed in Geo-stationary orbits is one of the largest domestic communication satellite systems in Asia-Pacific region. Established in 1983 with commissioning of INSAT-1B, it initiated a major revolution in India’s communications sector and sustained the same later. INSAT space segment consists of 24 satellites out of which 10 are in service (INSAT-2E, INSAT-3A, INSAT-4B, INSAT-3C, INSAT-3E, KALPANA-1, INSAT-4A, INSAT-4CR, GSAT-8 and GSAT-12). INSAT with more than 210 transponders, is providing tele-communications, television broadcasting, weather forecasting and societal application services such as tele-medicine and tele-education. The launch of INSAT-4A during December 2005, INSAT-4B in and INSAT- 4CR in 2007 have ushered in Direct To Home (DTH) television services in the country. Television reaches 85 percent of India's population via INSAT. Over 200 AIR stations are linked via INSAT network. In the recent years, Very Small Aperture Terminals (VSAT) have revolutionised our telecommunications sector. INSAT supports over 20,000 VSATs for e-commerce and e-governance. National Stock Exchange and Bombay Stock Exchange use VSAT technology across the country for instantaneous transactions. India has an exclusive meteorological satellite Kalpana - 1. The imaging instruments (VHRR) & (CCD) collect meteorological data and provide timely warnings on impending cyclones. The launch of EDUSAT on September 20, 2004 heralded new era in the field of distance education and today, about 35,000 class rooms are in the EDUSAT network providing services at primary, secondary and university levels. Indian Remote Sensing (IRS) satellite system was commissioned with the launch of IRS-1A, in 1988. With ten satellites in operation, IRS is the largest civilian remote sensing satellite constellation in the world.Indian Remote Sensing (IRS) satellite system was commissioned with the launch of IRS-1A, in 1988. With ten satellites in operation, IRS is the largest civilian remote sensing satellite constellation in the world (CARTOSAT-1, CARTOSAT-2, CARTOSAT-2A, CARTOSAT-2B,RESOURCESAT-1, RESOURCESAT-2, OCEANSAT-2, RISAT-2 etc). 15th July 2011 : India launches GSAT-12 telecommunications satellite via PSLV. The Indian Space Research Organisation have successfully launched a Polar Satellite Launch Vehicle (PSLV), placing the GSAT-12 satellite into orbit. GSAT-12 is configured to carry 12 Extended C-band transponders to meet the country's growing demand for transponders in a short turn-around-time.The 12 Extended C-band transponders of GSAT-12 will augment the capacity in the INSAT system for various communication services like Tele-education, Telemedicine and for Village Resource Centres (VRC). GSAT-12 will replace INSAT-3B. 21st May,2011 : GSAT-8 launched, to help DTH services. 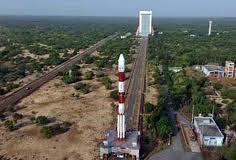 India's advanced communication satellite GSAT-8 was successfully launched into its geosynchronous transfer orbit by Arianespace's launch vehicle Ariane-5 from Kourou in French Guyana.India’s advanced communication satellite, is a high power communication satellite being inducted in the INSAT system. Weighing about 3100 Kg at lift-off, GSAT-8 is configured to carry 24 high power transponders in Ku-band and a two-channel GPS Aided Geo Augmented Navigation (GAGAN) payload operating in L1 and L5 bands. ISRO had lost two satellites last year during its unsuccessful GSLV missions. 20 April,2011 : PSLV Lofts Three Satellites, Including Resourcesat-2. The primary payload was Resourcesat-2, an advanced remote sensing satellite, will replace Resourcesat-1 launched in 2003. Resourcesat-2 along with the two piggyback payloads, Singapore’s 105-kilogram X-Sat and the Indo-Russian Youthsat, weighing in at 92 kilograms, were injected into an 820-kilometer, sun synchronous polar orbit. RESOURCESAT-2 is a follow on mission to RESOURCESAT-1 and the eighteenth Remote Sensing satellite built by ISRO. RESOURCESAT-2 is intended to continue the remote sensing data services to global users provided by RESOURCESAT-1, and to provide data with enhanced multispectral and spatial coverage as well.